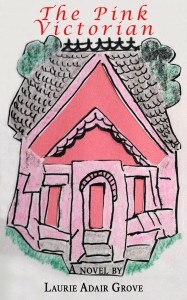 In The Pink Victorian, a sequel to Crossroads Serenade, an unwelcome character from Pete’s past shows up for a show-down, which can either drive a permanent wedge into his relationship with Meredith, or cement it in place so they can build their future together—a future that will include their son Grant, whom Meredith and Pete hope will remain happy and well-adjusted, even after they saddle him with a reality no child should ever have to deal with. 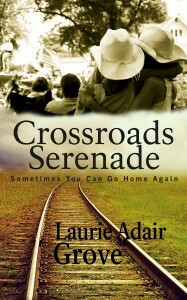 Former Serenade employee Ralph returns to Crossroads and now works at the McBride ranch. A bad experience in Las Vegas has left him afraid to love again until he meets Helene and her spirited little girl, Arlee, who are on the run from Arlee’s father. When the gas gauge of their car lands on empty, Helene and Arlee land in Crossroads and change a lot of lives, including their own. Mona, The Serenade’s flirty fifty-something head waitress who took Meredith under her wing and taught her “Waitressing 101”, finds retirement so boring it’s ‘killing’ her! Replaced by JoLynn as the head waitress, Mona appears to be stuck in a lifestyle that is so not Mona! Click Here to get The Pink Victorian for $3.15 at Amazon TODAY!